What a tremendous thing, to set out for the north on a road trip. Had I not, myself, just returned home to Calgary from my own epic road trip, Max and I would have hopped in and shared the road with Hollee and Gucci. 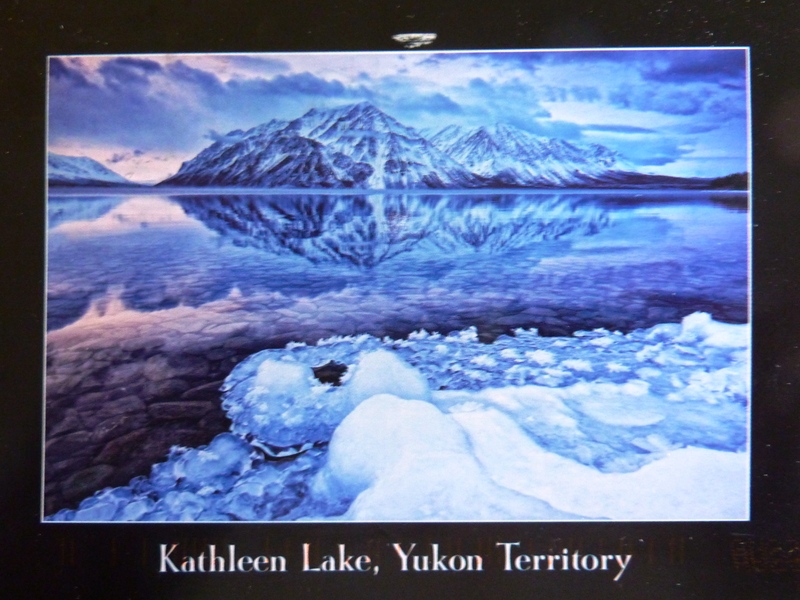 I was really happy the day I received this card in the mail, especially since it was post marked Whitehorse and that the image chosen was of Kathleen Lake! 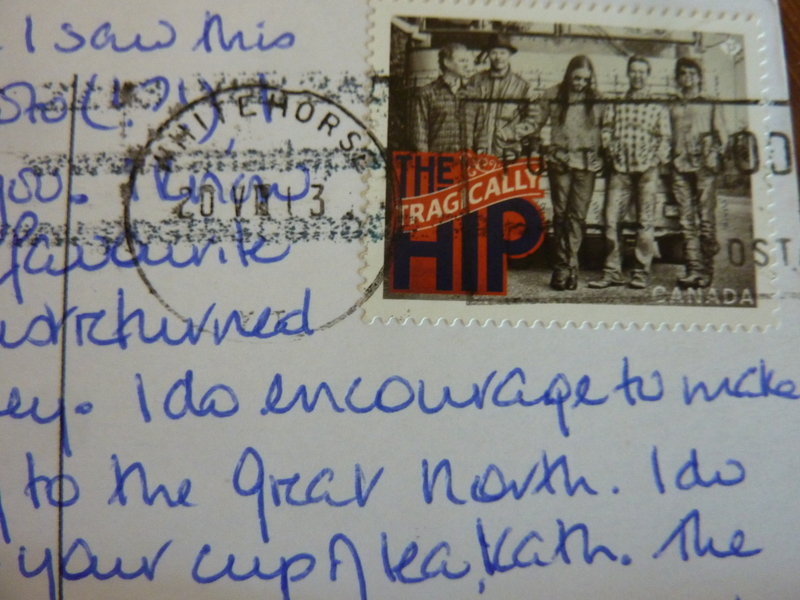 I also like the Tragically Hip postage stamp and I’m just guessing that Hollee knew I would enjoy it! 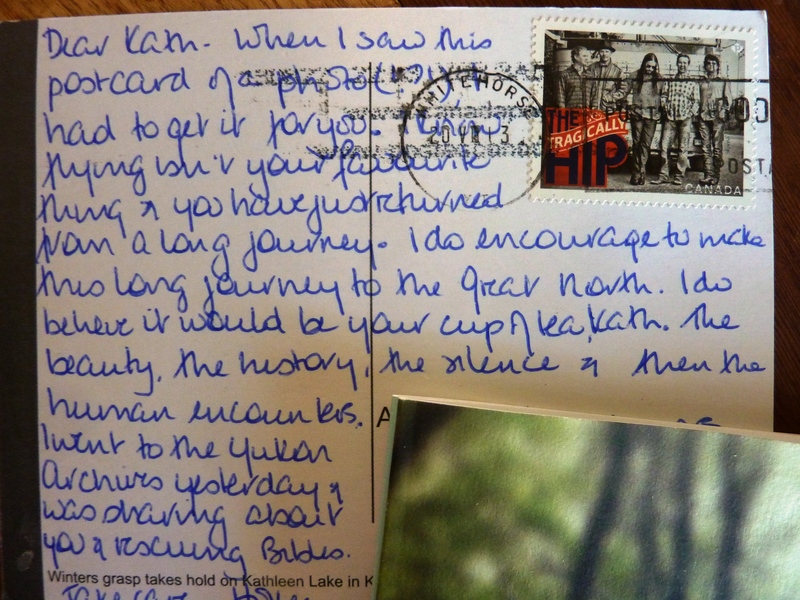 Hollee shared with folk at the Yukon archives that I rescue bibles from second hand stores and that also made me smile. It’s an exciting thing that my dear friend made this journey and I DO hope to one day see Kluane National Park, but it will be by road tripping and not flying.